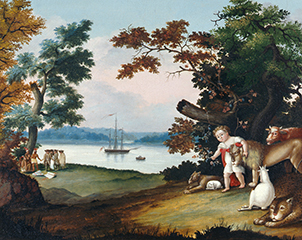 The Research Library supplements the diverse and world renowned collections at Fenimore Art Museum and The Farmers’ Museum. Our broad focus includes New York State with an emphasis on Otsego and nearby counties, American, and Native American history, art, and material culture. The Library’s Special Collections include rare books, manuscripts and archival collections, trade catalogs, pamphlets, broadsides, and ephemera. An appointment is not required to use the Research Library. We are open to the public Tuesday through Friday from 10 am to 4 pm, aside from planned closures listed here. Tuesday, February 26 through Thursday, February 28. 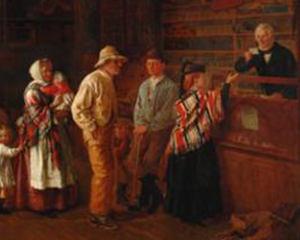 If you are traveling to the Cooperstown area from afar, we recommend calling or emailing our Reference Desk in advance of your visit to discuss your research with a Librarian. 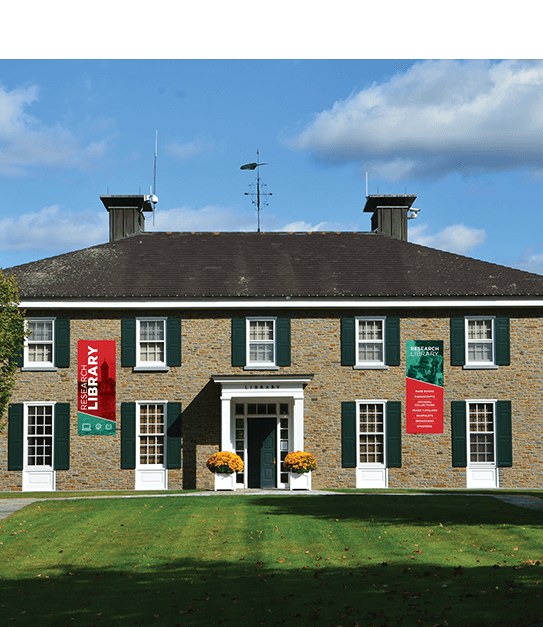 In 1995, the Fenimore Art Museum embarked upon a new era with the addition of a spectacular new American Indian Wing designed to house the extraordinary gift from Eugene and Clare Thaw of their collection of American Indian art. Folk artists express through their art the ordinary and extraordinary events that have shaped their lives and communities. Through the process of creating, folk artists make a permanent record of their cultural ideals, experiences, and community heritage. Today, these artworks serve as documents of American culture and the lives of the artists. 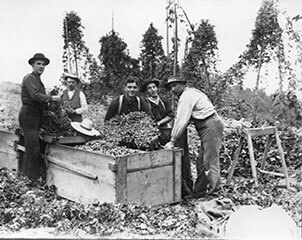 The photography firm of Smith and Telfer documented Cooperstown and its people for almost a century, compiling a unique record of a small town and its changes over the years. 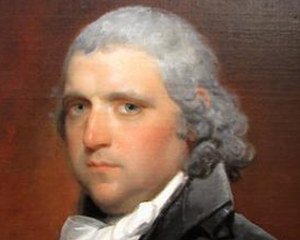 Smith and Telfer left a rich legacy, now preserved by the Fenimore Art Museum. A selection from the 60,000 images in the Smith and Telfer collection is available online. The Cooper name has been tied to the Otsego Lake region for more than ten generations. It is here that a special bond united a family with the land, prompting a vision that inspired a great American literary tradition and fostered the growth of a small village and its surrounding environs. This collection shares some of James Fenimore Cooper’s personal effects and best-loved possessions. We have great interest in acquiring objects that will help us promote our mission. If you have an item that you believe would enhance the collections, and you would like to donate it to the museum, please take the time to read this guide. Understanding our acquisition policies and following our guidelines for proposed donations will help make the donation process as smooth as possible for everyone involved. Thank you for your time and attention. To help us better assess your proposed donation and how it can contribute to our mission, we ask you to please tell us about it in an email. (Photographs of the object(s) are also appreciated.) Please wait until you hear from us before you bring the item to the museum. The more accurate information you can give us about an item you wish to donate, the better we’ll be able to understand its significance and interpret it for the education of the public. – it is sufficiently well documented that we can interpret it usefully for the public. Furthermore, not everything we do accept will necessarily go on permanent exhibit. Our collections include items used for research and for public education programs, as well as those displayed in the galleries. All of these uses help promote our mission of preservation and education. Finally, all artifact donations must be approved by the Collections Committee of the museum’s Board of Trustees. Your artifact donation may be tax-deductible. However, to ensure the appropriate value of your deduction, the piece must be properly appraised. We cannot appraise proposed donations for you. We are not qualified appraisers, and even if we were it would be a conflict of interest for us (as a possible recipient) to appraise your potential donation. You can obtain references to qualified appraisers through the International Society of Appraisers. We greatly appreciate your interest in our museum and your desire to help build our collections. I consent to Fenimore Art Museum collecting my details through this form.